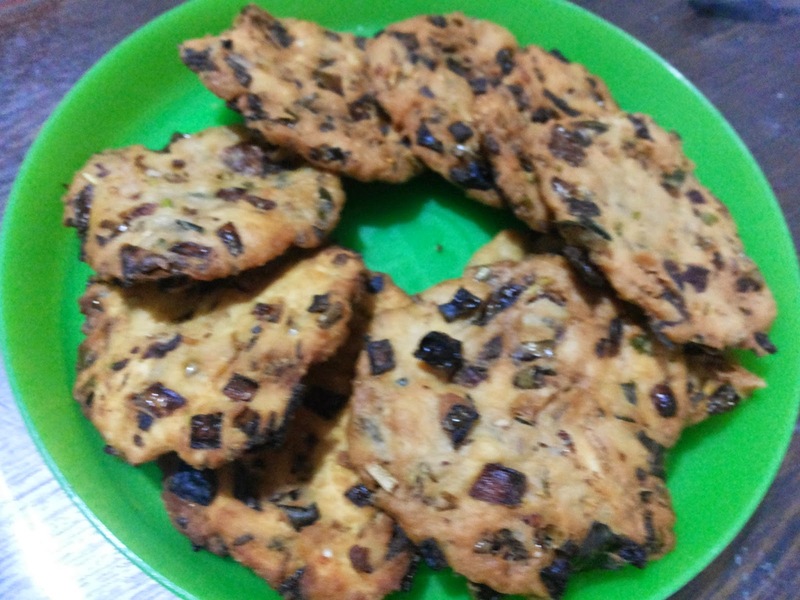 Maddur Vada is one of my favourite snack. It is crispy and soft inside with awesome onion flavors. This snack was first originated in a town called Maddur which is on the way from Bangalore to Mysore and thus the name Maddur Vada. As kids, we used to wait to go from Mysore to Bangalore on train only for the sake of this Maddur Vada. It is very simple to prepare with basic ingredients available at home and also very tasty. Can add 1/2 Cup Fine Semolina / Chiroti Rava / Suji if needed. Can add 2 tbsp Jeera if needed. A pinch of hing is optional. You can also pat the lemon sized dough on a greased non sticky paper or laminated paper. Ghee can be used instead of oil in a dough. Close the dough tightly with a container for 20 minutes. Make equal sized ball out of the dough and flatten the balls a little bit by pressing them in between your palms. It should be thick and round in shape. Drop it gently into the hot oil. Fry both the sides on medium flame until the color changes to brown and they are crispy. Remove with a slotted spoon, drain on a tissue and serve hot or store in an airtight container when cools.